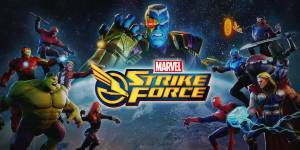 Marvel Strike Force is a strategy and action RPG mobile game where the objective is to assemble a team of five characters that consists of Marvel superheroes and villains and save the Earth from a Kree warlord named Ultimus and his minions. The game has 70 playable Marvel heroes which includes favourites such as Spider-Man, The Incredible Hulk, and Captain America. After putting together your squad you will be able to level up your characters, equip new items, and acquire new abilities that can be used during combat. The game has PvP and PvE options. How do you Equip New Gear? How do you Find Specific Gear? How do you Attack the Enemy? How do you get more Resources? No discussions open for Marvel Strike Force at the moment.